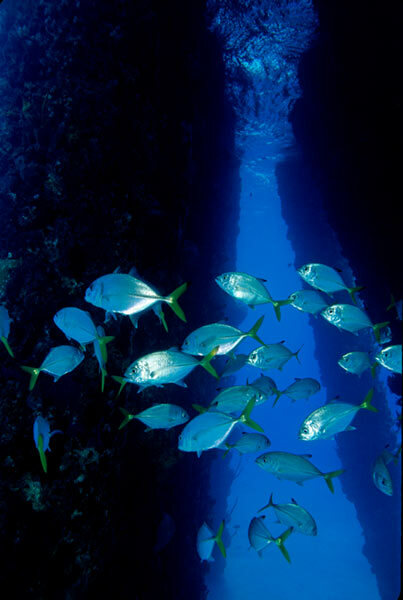 Quite possibly one of the top "macro" dive sites in the world. It's an an awesome dive by day and an absolutely fantastic dive at night. 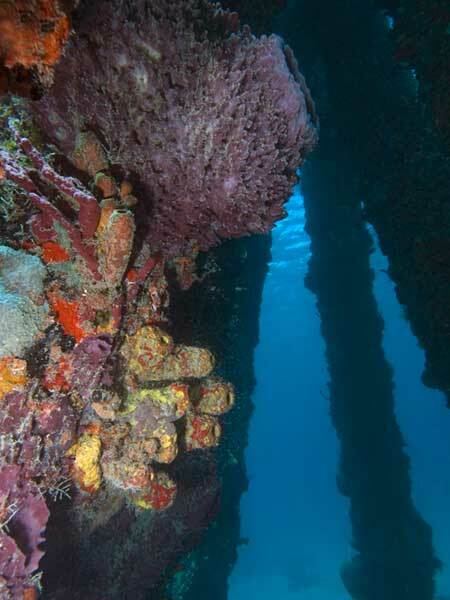 Each column is encrusted in coral and sponges. It's not unusual to see seahorses, frog fish, bat fish, and many more very rare sea critters. 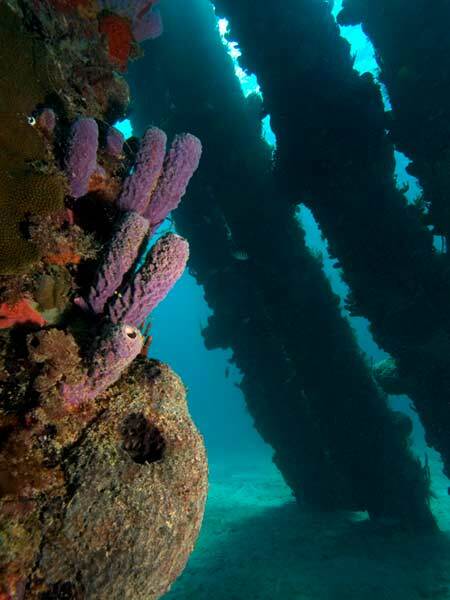 Sometimes we dive the Pier from our boat, dropping divers at one end of the Pier and picking them up at the other. It's also a very easy shore dive. We'll do a guided night dive anytime two or more divers want to go.